Do you want to gain experience of working within a busy office environment, learn new skills and have an interest in the Criminal Justice System? Then why not volunteer at POPS Head Office. Opportunities are available to provide assistance within areas such as reception, administration, event planning and HR. For an informal chat, call 0161 702 7100 or email volunteer@partnersofprisoners.co.uk. We welcome applications from those with lived experience, knowledge of the recovery process and/or criminal justice. 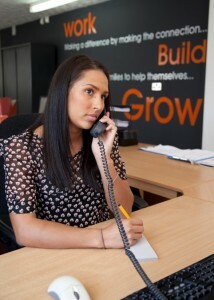 POPS Head Office is based at 1079 Rochdale Road, Blackley, Manchester, M9 8AJ.